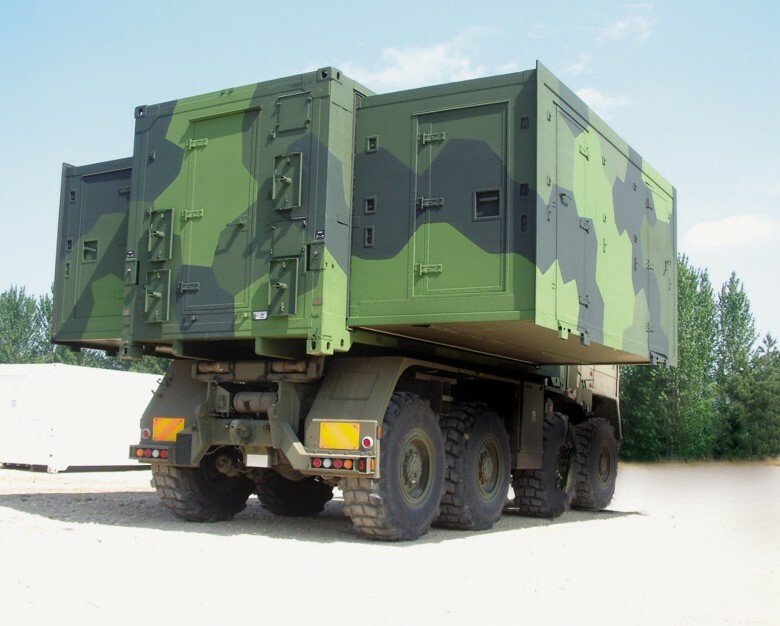 Over the years the EMC, EMP and TEMPEST protection solutions that MPE has provided to Marshall Land Systems at Cambridge, UK, have been entirely for their mobile tactical shelter projects for Western defence forces. 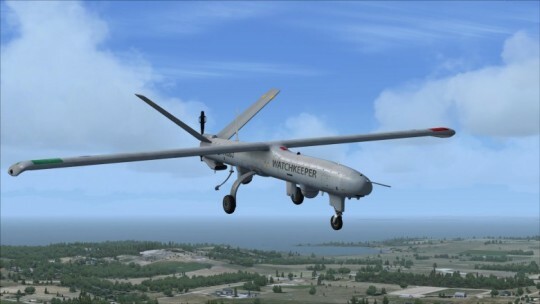 Such programs have included contracts to supply ground control stations for the Watchkeeper UAV for the MOD’s ISTAR objectives (as pictured here), forensic and hospital shelters for the Norwegian armed forces, and high-specification deployable machine shops for the RAF, not to mention mobile units for the Swedish Defence Materiel Administration (Försvarets Materielverk, FMV) and the Lockheed Martin UK Future Deployable Geospatial Intelligence (FDG) Project for the MOD. Illustrated here too, the Marshall Matrix shelter with expandable sides, capable of rapid deployment and transportation by road, rail, sea and air, meets all necessary international military specifications including UK DEF STAN, US MIL-STD and NATO 6516/SHCPE standards, and one of its key features is its high RFI and EMP attenuation performance attributable to MPE’s filter products. Typical uses for this highly versatile unit range from a deployable HQ, tactical ground station or command post to a mobile workshop, field hospital or first-aid post.